Singer/Songwriter Tavonna Miller emerged from Los Angeles performing her heartfelt and soulful songs for large and small audiences alike. With the release of her albums, “Peace, Love & the Lack Thereof” in February 2012 & "The Beauty of Believing" in July 2016 the Pop-Soul songwriter contributes bodies of work to the world of music that express her artistic observations. In her quest to continue creating art that inspires, Tavonna has been blessed to watch her catchy tunes and down-to-earth stage persona be eagerly embraced by music lovers of all backgrounds. Described as having “that voice” by the Boston Weekly Dig newspaper, Tavonna’s vocal ability expands across many styles of performance including Soul, Rock, Gospel, & Opera. Coming from a family background of musicians, she was motivated at a young age to discover and explore the world of music to craft her own unique sound. SoulTracks recently praised her unmistakable vocal tone as one that "inspires a belief in something hopeful and bright". Tavonna’s sound is influenced by such legends as Stevie Wonder & Nina Simone and also by more contemporary influences like John Legend & John Mayer. 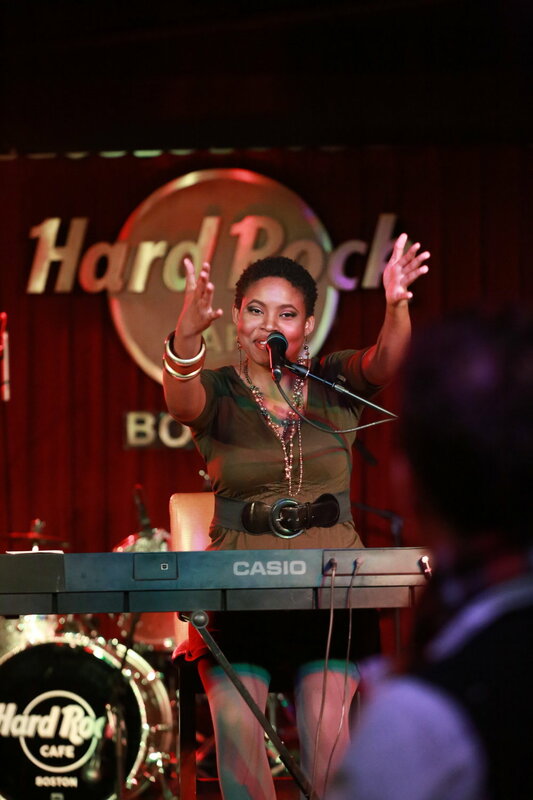 With their inclusion in commercial media catalogues, “Peace, Love, & the Lack Thereof” & "The Beauty of Believing" have taken Tavonna’s music to the UK, Finland, The Netherlands, and throughout America blessing her to be able to return to Scandinavian and Europen countries every year to perform her music live. “Having an international reach with my music has always been a goal. I’m absolutely thrilled for the opportunity to be heard in other countries besides my own.” It doesn’t matter what venue Tavonna performs in; she performs with a “Grammy Awards Show” standard. Greg from Resident Media Pundit writes, “...it won’t be long before she’s selling out venues like the House of Blues and The Orpheum. "